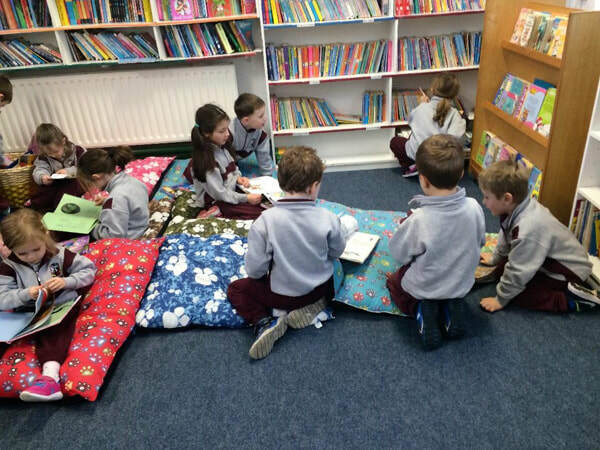 The library in Edmondstown is a pleasant and comfortable environment which aims to promote reading for both pleasure and educational purposes. It meets once a week and houses a wide collection of novels and factual books on various subjects which appeal to children of all ages. In addition, it has a comprehensive range of reference books available for project work. Pupils may borrow up to two books per week. Occasionally writers are invited to talk to the pupils about their work, and at appropriate times throughout the year, special themes are promoted. The library is a popular and valued aspect of school life.